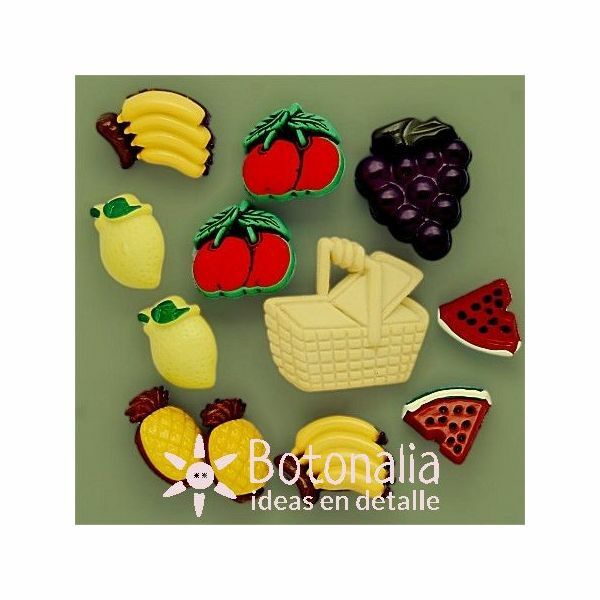 Decorative buttons with shapes of summer fruits. 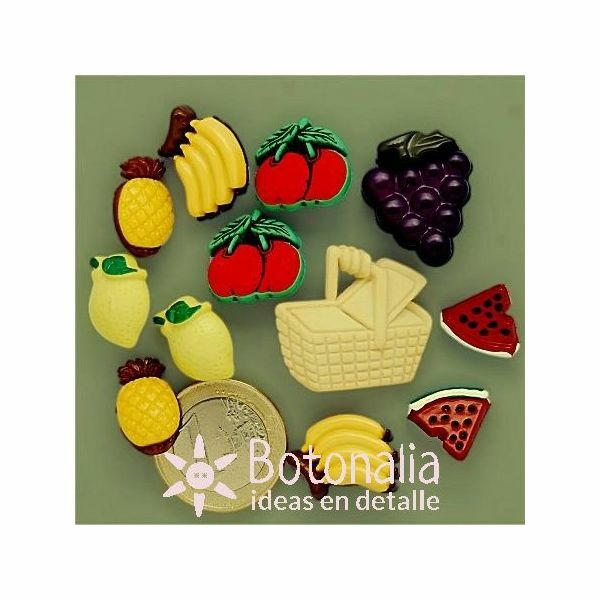 Product Description: Decorative buttons with a shape of different summer fruits and a basket. 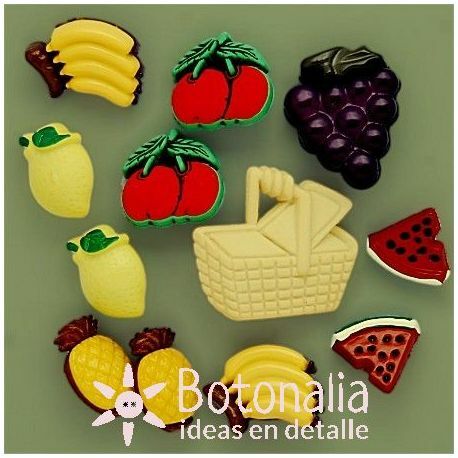 Content: 12 buttons (6 different fruits and 1 baskets) in different colors.